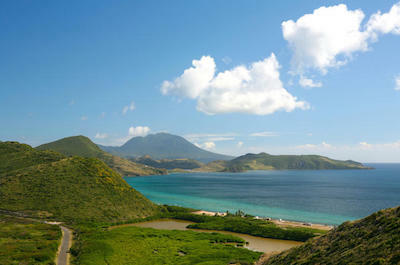 There are plenty of fun things to do in St. Kitts when you arrive on this picturesque island. You can marvel at the old world architecture in Basseterre before setting sail on a catamaran to go snorkeling or for a sunset cruise. 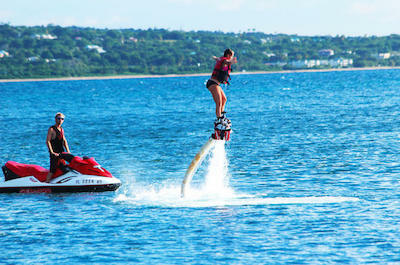 Other watersport activities like flyboarding, swimming with dolphins and kayaking are just moment away from your hotel. You can soak in a volcanic hot spring after an exhilarating jungle hike or you can soar over the valley floor on an adrenaline filled zipline ride. Another exciting trip is a hike up the extinct volcano Mt. 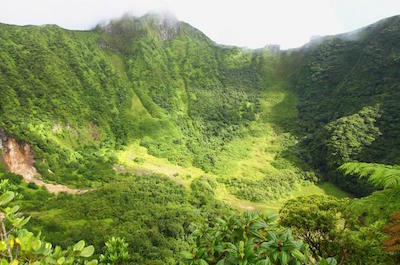 Liamuiga which is the highest point in the Lesser Antilles at 3,792 feet. Whether you want to view the old sugar plantations or just relax on one of the stellar beaches like Cockleshell there is sure to be an excursion that will please the whole family. If you want to view the islands from a different perspective as well as add a few extra activities, then the best thing to do in St. Kitts is to take a cruise or boat tour. You will be thoroughly pleased with the choices that are available which will have you cruising on the clear blue water of the Caribbean Sea. 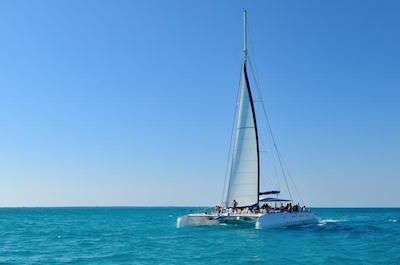 You can decide to go snorkeling on a catamaran, enjoy an afternoon of sailing on a private yacht and you can even take a party cruise that will have you dancing on the deck. Other fabulous tours will take you to a private beach of white sands for a full day off fun in the sun and there is even a sunset cruise that will leave lasting memories of the pastel colored skies. Whether you are looking to relax, party or experience the beauty of the underwater world there are perfect things to do in St. Kitts that include a cruise or sailing tour. When you are seeking the perfect day of fun and viewing interesting places, then the best thing to do in St. Kitts is for you to take your family on an extensive excursion of the two islands. You will be amazed at what type of tours you can enjoy while viewing fantastic places such as the many plantations, white sand beaches. You can decide whether you want to learn about making rum, visit the Brimstone Hill Fortress or taste the incredible cuisine of the West Indies. Depending on your style of travel you can enjoy an island tour of St. Kitts in an open safari vehicle, by ATV as well as a sail boat. No matter which tour fits your fancy of adventure, this is a perfect way to spend the day exploring of these beautiful islands. If you like to explore the underwater world of the Caribbean Sea, then one of the perfect things to do in St. Kitts is to include a snorkeling tour while you are on the islands. Snorkeling tours are a great family excursion where you can view thousands of tropical fish just off the coastline at places like South Friar’s Bay, Palmetto Point, Shitten Bay and Black Rocks. You can decide on your preference of transportation from a catamaran, a kayak or even a mini-speed boat that will have you cruising to your snorkeling destination. The snorkeling is fabulous around St. Kitts with fantastic clear blue waters that are filled with coral reefs, geologic formations and hundreds of uniquely colored fish. Don’t miss your chance to explore the underwater around the coastlines of St. Kitts. If you like learning about culture as well as history, then the best thing to do in St. Kitts is to visit Basseterre which is one of the more iconic capital cities in the Caribbean. When you visit Basseterre you will be thrilled to learn about the days during British and French rule as you view the incredible architecture that still exists. While visiting Basseterre you will enjoy a picturesque view of the harbor which helps define this beautiful city. 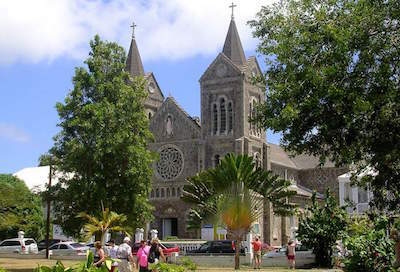 As you venture through Basseterre you will visit the two main areas which include the Circus that is ideal for tourists interested in architecture and the Federation is the perfect spot for finding that unique souvenir as you visit museum, pubs, craft markets as well as heritage sites. Whether you want to mingle with the locals or just stroll through the streets of Basseterre, there are fun things to do in St. Kitts to suit your fancy. Independence Square is one of the best things to do in St. Kitts to learn about the early history of the region. 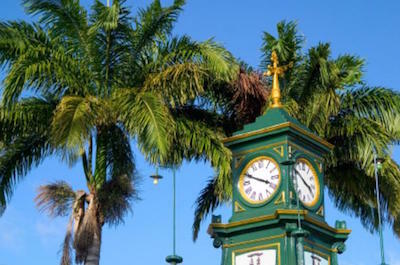 Located in Basseterre, Independence Square is surrounded by intricate British Colonial architecture with a beautiful fountain that is perfectly situated in the middle. As you walk through Independence Square you will learn about the dark days of human chattel as slaves were auctioned off in this particular area of Basseterre. You can visit the tunnels where slaves were held before going on the auctioning block. An added bonus when touring Independence Square is you can add other stops like the Brimstone Hill Fortress or just enjoy the rich cultural aspects of the local community by attending a parade, festival or an impromptu gathering of locals. Independence Square is a perfect place for families to soak up the friendly atmosphere of Basseterre. If you are seeking stunning views of neighboring islands or being out in nature, then the best thing to do in St. Kitts is to visit Mt. Liamuiga. Located on St. Kitts, Mt. Liamuiga is formerly known as Mount Misery and is the highest point of the British Leeward Islands within the Caribbean Sea. Mt. 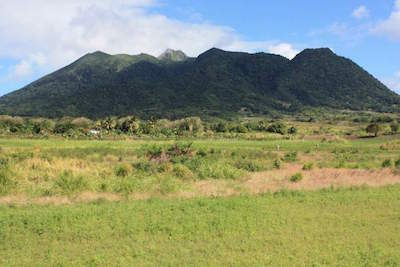 Liamuiga is an extinct volcano which is now a vast tropical landscape that is dotted with small villages, farmland and former plantations that are waiting to be explored. 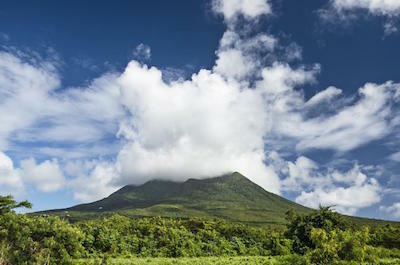 Once on top of this 3,792 feet mountain you can travel into the crater or simply enjoy the panoramic views that include St. Kitts, Nevis, St. Martin and Antigua. You can decide on a variety of transportation from hiking to riding the scenic railway to viewing Mt. Liamuiga from a comfortable coach. 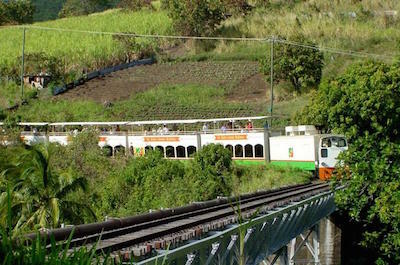 If you are looking for a relaxing excursion that is great for families who like to view new scenery, then the St. Kitts Scenic Railway Tour is the perfect thing to do in St. Kitts . Your 3-hour excursion departs from Basseterre and Frigate Bay hotels where you will be driven to the first scenic railway constructed in the Caribbean. Once at the boarding platform you will be seated on the luxurious train that includes an open-air observation deck, two lower-levels of air-conditioned cars, a service bar and restroom. As you travel up the slopes of the extinct volcano Mt. Liamuiga you will view former plantations, small villages, patchwork farmland and the beautiful tropical landscape. While you ride on the railcar you will listen to an expert narrative of the scenery that you are watching. After debarking from the railcar you will be taken on a 12-mile coach tour of the area that includes views of the Brimstone Hill Fortress and the town of Basseterre. Your adventure ends with drop-off service at your Basseterre or Frigate Bay hotel. 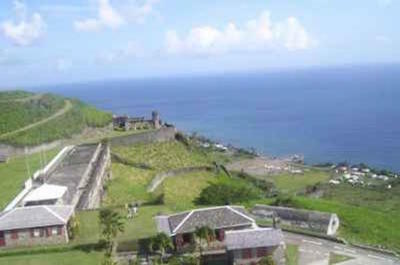 If you are interested in visiting one of the most prominent UNESCO World Heritage Sites in the Caribbean, then the best thing to do in St. Kitts is to visit the Brimstone Hill Fortress. There are a variety of ways to visit this fortress that was constructed between the 1690 and 1790. 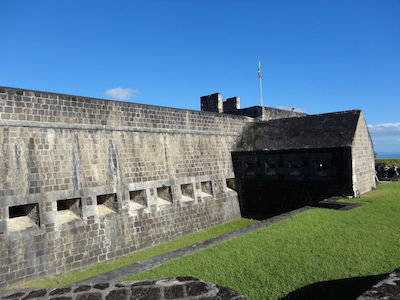 You can choose to simply visit the historical site and walk the grounds or you can include a trip through the fortress with a scenic railway ride or with a full-blown tour of Basseterre. Another added bonus is that there are even excursions that stop at secluded beaches for a little fun in the sun or include a relaxing catamaran sail. Whether you want to travel by group or by private coach, there is a great excursion for you and your family. 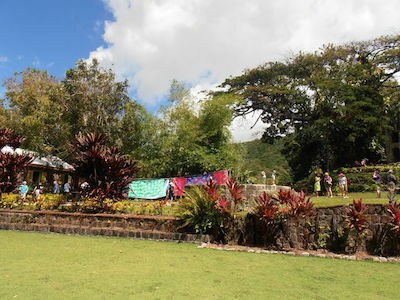 The Romney Manor is a great thing to do in St. Kitts for families and couples who like learning about the history as well as culture of the islands. There are a variety of activities at this 1600s plantation which has been transformed into a series of craft shops that are complete with textile manufacturing in a traditional Indonesian style. As you walk the grounds of this former slave-holding sugar plantation, you can learn about the exotic flora and fauna on the 6-acre botanical garden where you can also view a 350-year old saman tree. There are also petroglyphs carved into some of the lava rocks which are known to have powers of fertility. Added bonuses to visiting the Romney Manor are stops to go ziplining or an ATV ride through the jungle or a walk through the Brimstone Hill Fortress. When you are searching for a place that has non-stop action during the day and night, then the best thing to do in St. Kitts is to go to Frigate Bay. Located on the southeastern coastline, Frigate Bay is just 3-miles south of the capital city of Basseterre. Frigate Bay has a spectacular beach area for you to enjoy all of your watersport activities like kayaking, swimming, windsurfing and jet skiing as well as just relaxing under the sun. During the evening you will be thrilled with the nightlife that ranges from karaoke to bonfires on the beach to live music to dancing at one of the many bars and restaurants that dot the South Frigate Bay coastline. Other exciting stops on one of the many excursions include Brimstone Hill Fortress and an exhilarating ATV ride through the tropical landscape. If you are searching for one of the most pristine beaches on St. Kitts, then the best thing to do in St. Kitts is to visit the Great Salt Pond. 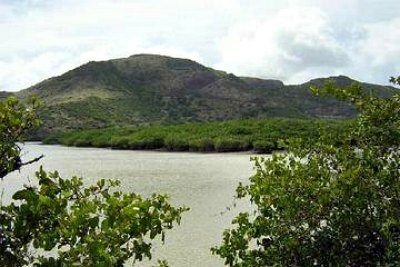 Located on the southeastern shoreline of the island, the Great Salt Pond is an oasis of white sand and beautiful scenery that is complete with a multitude of birds. When you are visiting the Great Salt Pond you can enjoy body surfing on the Atlantic Ocean and just steps away you can go snorkeling or swimming in the calmer waters of the Caribbean Sea. An added bonus at the Great Salt Pond is that you can include kayaking or a full tour of Basseterre along with a spectacular day at the beach. No matter what type of watersport activity your family is searching for you can find the perfect fit at the Great Salt Pond. If you want to go back in time and view one of the oldest towns on St. Kitts, then a trip to Old Road Town is a wonderful thing to do in St. Kitts . Located along the west coastline of the island, Old Road Town was first founded in 1624 by Thomas Warner. The settlement was originally started to cultivate tobacco, Old Road Town is now a thriving small community that features a modernized fishery complex that was financed by the Taiwanese government. This friendly laidback town is perfect for exploring the past and present from ancient Carib petroglyphs to the Wingfield Estate which was the first land grant handed-out by the King of England to local cottage industry of arts and crafts that are still produced by the residences. Many people have been talking about the best thing to do in St. Kitts is to go on a kayaking adventure. If you enjoy being on the water and viewing incredible tropical fish as well as clear blue water then kayaking is perfect for you. There are several options for kayaking around St. Kitts which include additional time for snorkeling or swimming. You will be thrilled with the panoramic views of Mt. Liamuiga from the Caribbean Sea. 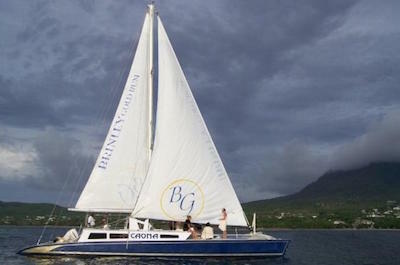 Beautiful coral reefs and lunch is generally included with your excursion. 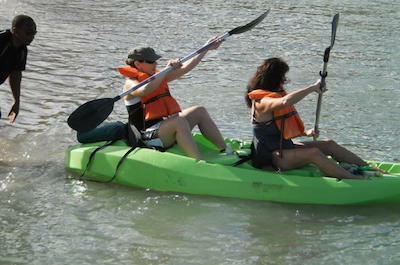 Kayaking is a great way to spend the day and all off your equipment is included for a carefree day of fun. 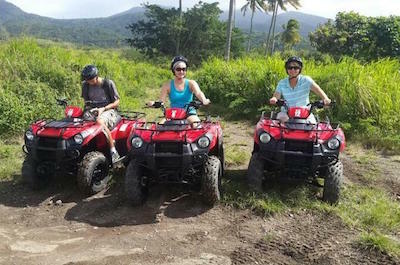 One of the more exhilarating things to do in St. Kitts is to take an exciting off-road adventure on an ATV. You will be pleased with the selection of tours that will take you off-road through the lush tropical landscape as you pass by several former sugar plantations. ATV tours are also an easy way to get in touch with nature as you will learn about the various ecosystems of the islands. An added bonus to some of the ATV tours is that you can include a stop at a secluded beach where you can enjoy relaxing under the sun or playing in the warm Caribbean Sea. No matter which ATV excursion you decide to take, you will be thrilled with your new adrenaline rushes. If you are an avid eco-adventurer, then the best thing to do in St. Kitts is to take a horseback riding excursion. You will be amazed at how your body becomes in-tune with nature while you ride through the rainforest countryside. As you ride your horse you will view former sugar plantations, numerous animals and the flora as well as fauna is spectacular. If you look closely you will see the national flower known as flamboyant as well as bamboo, mangoes and pineapples. The smells of the plants and the movement of your horse will take your senses to new heights. 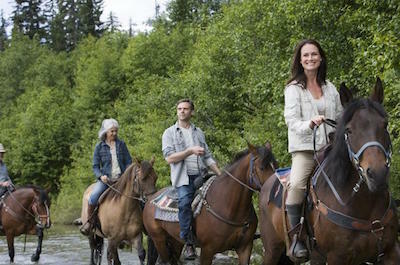 Another added bonus to horseback riding tours is that they include complimentary pick-up and drop-off service from your hotel. If you are looking to raise your adrenaline by soaring through the jungle canopy, then the best thing to do in St. Kitts is to book a zipline tour. Your 2.5-hour adrenaline rush has two departure times throughout the day and begins with complimentary pick-up service from your Basseterre or Frigate Bay hotel. From here you will be transported to the Romney Manor on the Winfield Estate. Now you will receive a short safety briefing before setting out to soar through the rainforest canopy. You have two options which include a full tour on five different ziplines that involves a short off-road drive, a small downhill hike before you soar up to 250-feet above the valley floor. Each zipline ranges in length from 500 to 1350-feet. You will have the opportunity to cool down as the last zipline flies over a river pool where you can drop into the cool water. Your second option involves all of the above modes of transportation but you skip line 2 and line 5 is replaced by a short hike down to the river pool. 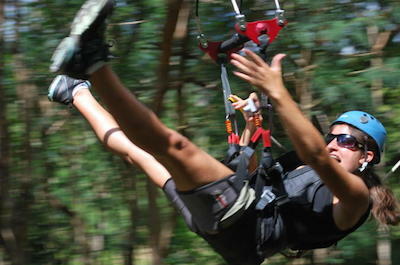 Your exhilarating zipline excursion concludes with free drop-off service at your selected hotel. One of the best things to do in St. Kitts is to take an exciting hiking tour and explore the wonders of nature. Hiking tours are fabulous for everyone including families who like to spend time in the outdoors. You can hike to the top of Mt. Liamuiga or travel through the gorgeous rainforest while viewing incredible flora, birds and other animals in their natural habitat. Hiking tours range from 3 to 8-hours and are provided to small as well as large groups of people. Many of the hiking excursions allow for ample photograph opportunities and rest stops as you hike through the rainforest on established trails viewing the magnificent landscape of former sugar cane plantations such as the Romney Manor Estates. When you are ready to immerse yourself in nature then you need to book an exhilarating hiking tour. When you are looking for an interesting thing to do in St. Kitts then you should consider one of the many exciting day trips. These excursions range in time from 90-minutes to 5-hours depending on your adventure. Day trips include stops at fabulous beaches like Cockleshell, the Great Salt Pond and South Friar’s. Other excursions include a ride on the St. Kitts scenic railway, sailing to Nevis where you can visit the Botanical Gardens of Nevis or the charming Charlestown. 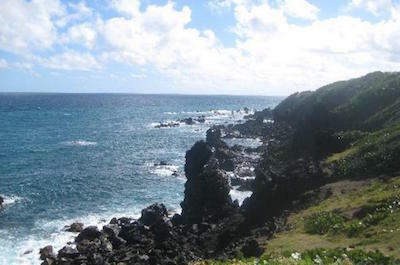 Day trips usually include stops at Black Rocks on St. Kitts as well as Pinney’s Beach in Nevis. You can travel by train, catamaran, coach or an open safari-type vehicle. You will be pleased with the scenery of Mt. Nevis and Mt. Liamuiga as well as the beautiful tropical landscape as you travel around the islands to several exciting sightseeing stops. If you want to soar through the air above the water, then one of the more interesting things to do in St. Kitts is to go Flyboarding. Your 30-minute adrenaline rush begins when you arrive at Reggae Beach Bar which is situated on Cockleshell Beach on the southern tip of St. Kitts. Once checked-in you will be assigned a personal guide who will train you on how to navigate the flyboard. You will be amazed at the agility of the flyboard as you glide some 30-feet in the air above the warm waters of the Caribbean Sea while you flip and turn. Flyboarding is great for all skill levels, is family friendly and is sure to raise your adrenaline to new heights. When your time is up, you can enjoy a cold libation while you view the video of your flyboard experience. If you are interested in nature and the geologic forces within the Caribbean, then the best thing to do in St. Kitts is to take a visit to Black Rocks. Located on the northeastern coastline of St. Kitts overlooking the Atlantic Ocean, Black Rocks is a reminder of the island’s volcanic past. The rock formations here were created by a pyroclastic blast from Mount Liamuiga and resemble large pieces of coal. Black Rocks offer great photographic opportunities and you will be pleased with the variety of ways you can visit Black Rocks from a half to full-day tour in a private coach to an air-conditioned minivan. Most excursions to Black Rocks include side stops in Basseterre, Mt. Liamuiga and several beaches along the Caribbean Sea and the Atlantic Ocean. If you are searching for a smaller more secluded beach on St. Kitts, then the best thing to do in St. Kitts is to visit Cockleshell Beach. 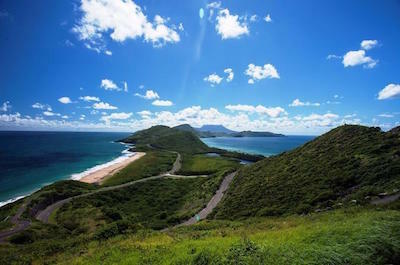 Located on the southern shoreline of St. Kitts overlooking the Narrows, the Cockleshell Beach is situated between the Great Salt Pond as well as the Atlantic Ocean and has a beautiful 2-mile stretch of white sands. Cockleshell Beach has perfect calm waters for swimming as well as snorkeling and there are plenty of umbrellas to rent if you just want to relax. You can arrange your favorite watersport adventure like flyboarding, kayaking or jet skiing with one of the local vendor’s onsite. The atmosphere is lively with several bars and restaurants such as the Reggae Beach Bar, Lion Rock Beach Bar and Grill as well as Mundo Water Sports Bar and Grill. Other nearby attractions include Timothy Hill, Frigate Bay and the Great Salt Pond. 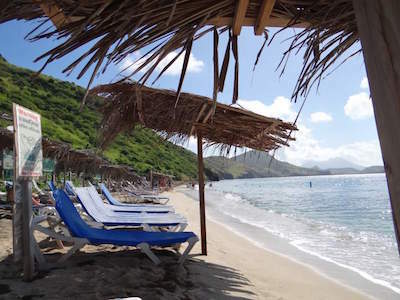 Visiting South Friar’s Beach is a popular thing to do in St. Kitts because of the calm waters of the Caribbean Sea. Located 3-miles south of Basseterre on the southwestern coastline of St. Kitts Island, South Friar’s Beach has nice golden sands with plenty of palm trees for shade. South Friar’s Beach is ideal for swimming as well as snorkeling and there are plenty of vendors on the beach that can arrange other watersport activities from fishing to sailing to jet skiing. 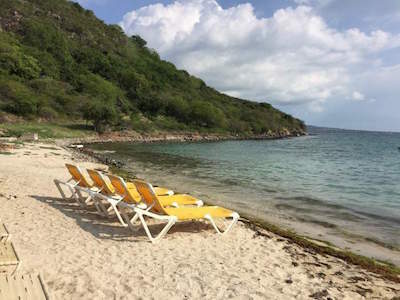 South Friar’s Beach has a lively atmosphere that is perfect for singles, couples and families. There are no facilities at South Friar’s Beach but there are plenty of food vendors serving delights for when you get hungry. If you are searching for libations or sit-down cuisine there is the Shipwreck Beach Bar, Carambola Beach Club and the Mongoose Bar and Grill. Swimming with dolphins is one of the most popular things to do in St. Kitts . Located just south of Basseterre, the Dolphin Discovery St. Kitts is an ideal place for your family to swim with dolphins. You will be thoroughly pleased with the atmosphere of the Dolphin Discovery St. Kitts and the information about the local ecosystem as well as the world of the dolphins. Your family will have three choices from standing in knee deep water and gently petting these amazing animals to taking a dorsal fin ride on the back of a dolphin to reaching for stars as you stand on the dolphin’s nose as you cruise through the water. Each swimming with the dolphins excursion varies in time length from 20 to 45-minutes and you will enjoy a variety of things to do in St. Kitts with dolphins, such as dolphin feedings, viewing other tropical fish and the many kisses you will receive from these intelligent animals. You will be pleased with the educational information that is provided before, during and after your experience.